Discussion in 'Gran Turismo Sport' started by Dogwolf77, Apr 8, 2019. Next week (in 6 hours), B is looking good! oldphart and Pigems like this. The C race settings for next week ? Looking forward to tomorrow, I decided to do some testing over the last few days. I predict the R8 to be dominant again, but I was surprised by the pace of the 458!! FYI, The top half of that list hit those times fairly easily. The bottom half was a definitely more work to hit 47's for me (maybe obviously). The 650 was the first car I tested and the 458 was second. The Beetle and R8 were the last two. I didn't test the Lexus, Mustang, Ford GT, Jaguar, or Citroen. Given the way things were going, I didn't think they'd challenge for the top. Vegard, Dairyworker, seadog777 and 4 others like this. Any ideas on the Gr.4 car for this week's Race A? TTTtothetop and Pigems like this. About to hit the catalunya circuit experience real quick to refresh myself before the races reset in a couple hours. Hopefully be ready to qualify right away. If I race this week I think I'll skip qualifying..... my time usually put me near or at the back (which for me is fine) but lately there have been lots of players that don't post a time that start behind me. This can put me near the middle with a lot of faster racers behind, which very often ends up with me being punted off the track. Then it's a lonely dawdle around the track until I cross the line or the race finishes! Dairyworker and Pigems like this. The 458 does really well for race B. I agree with you. Manual transmission a must! Voodoovaj and Pigems like this. Race A is the Audi TT. Race C is the Toyota 86. Dairyworker, GTWolverine, Dogwolf77 and 1 other person like this. Me: Sweet, time to set some new times! CrimsonKing, Dairyworker, Pigems and 2 others like this. Why can we not have some variety for once, how about using the 458 in a gr4 one make instead. The car rarely gets used so that might be fun. CrimsonKing, Dairyworker, I-Runner and 15 others like this. Edit: Finally got a 1:27 time. Jesus, that was so stressful. Dairyworker, sturk0167, drummingcat and 6 others like this. I got bumped side by side at T1 exit. Gave them room on the inside, as I out dragged them on the outside, after the start. The other player got 4 seconds for that. People weren't crashing, but noticed many using 2nd gear. I only used 2nd gear at T1. Used 3rd and kept momentum at all other turns. Even at the hairpins in the middle, esses and last corner. Good stuff. Caught up to 1st and 2nd. 2nd should have been just a bit more patient. 2nd was tailgating 1st until the exit of 130R. I hung back and 2nd decided to move on the outside. 1st late braked on the inside, went wide and scraped 2nd wide. I swooped on the inside line and bolted. Think from Lap 5 to the finish. I'm done for the week at the Race C Snooze Fest. Race B. No Qualy. Started in the Audi, 14/15. Finished 13/15. Lost a Clean bonus due to 15th, in another R8, skidding out of control. Just nicked it and I got an orange arrow. I'll be using all the "official" GT3 cars only. Love the track. Should be a fun week learning each car. Edit: Race A. No Qualy. STarted 9 or10. I like this track and race overall. Love the downhill ess under the walkway. Got a 0.5 penalty for too much curb after being unsettled by another player. Got 3 seconds on the final sequence of turns, due to the player I was following braking in the middle of the track. I went right and the player was there. I went left to try and avoid contact, the player was there. Wound up bumping them before the apex and they spun off. Didn't lose my place. Didn't know who I hit, but I typed "I tried to brake". Melbourne Park, Vegard, Dairyworker and 9 others like this. CrimsonKing, weazelgt, Dairyworker and 2 others like this. I know we moan about it every week...but come on PD, you have a great game, your choice of daily races rarely does it justice. notime72, CrimsonKing, Doglove and 7 others like this. I'm going to jump in and defend the daily race choice. I know that recently we've seen very little variety but the question of this was put directly to Kaz at the recent Paris event. This week we have a layout for Lago Maggiore that I haven't ever seen in the Daily Races and Catalunya that people have been screaming out for. Catalunya I think has been used once since it was released, and that was back when people were cutting the last chicane making the whole thing pretty pointless. We can't know but I'd like to think that Kaz being asked has thrown a light on this internally at PD. Yes Race C this week is something we have seen before and not that long ago. I do see this weeks Races A and B as a step in the right direction. They do represent some variety we have not seen for what feels like a long time and I hope this sets a new trend. If these particular combinations are not to your personal tastes then that's fine, and shows a weakness of having these as weekly events. Personally the Gr.4 Audi TT is one of my least favourite cars to drive but I'll still give it a go as the one make races tend to be really close racing. I actually think the three races shouldn't have more than one 'one make' race as it feels like there is little variety in the racing. There's lots to be improved, but I am hopeful that this week is a step down the road for variety in the daily/weekly races. Dairyworker, NosOsH, drummingcat and 7 others like this. The one thing that bugs me about this week's Race C is that yes, the Toyota 86 GT is the car they've opted to choose, but you can't participate if you have its identical alternate version, the Subaru BRZ. It's a similar problem to last week's Race C as well; the Toyota and Honda Super Formulas are identical but you were basically barred access from the race if you didn't have the Honda version. They clearly have the capability to make it so that both the Toyota/Honda SF cars are able to race together as seen in the FIA Nations Cup Race 4 at Autopolis, so why couldn't they have done the same thing with last week's Race C and now this week's Race C, but with both the Toyota 86 GT and Subaru BRZ? Melbourne Park, NosOsH, Cerebral303 and 5 others like this. Race A will be ruined as soon as people put ASM on and I wish Race C was Race B's combo, I guess I'm not the only one. Might just be daily workout for me this week, we'll see. Does this have any impact on your DR? If you don't gain positions it does. Depends on your rank and your opponents rank just how many you'd need to gain. Pigems and tariklehaine like this. 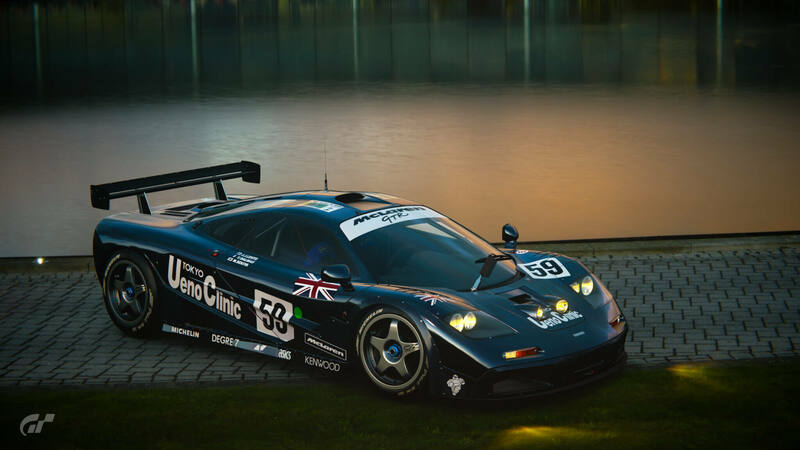 This article was published by Andrew Evans (@Famine) on April 8th, 2019 in the Gran Turismo Sport category. Won't the BB+4 increase understeer?? I had BB-2 all the time, just to get car turned. + is for rear - is front. Dairyworker, Voodoovaj and Pigems like this. I think Yamagiwa is in an upcoming FIA event. MAy get it in a Daily soon enough. Just ran short of time. Part of the problem for me is that the daily races are not daily, it doesn't matter which combo it is, I've normally had enough by Thursday. CrimsonKing, WestSideMike, NosOsH and 2 others like this. ok, I had those mixed in my mind then. Yes, I had BB+2 then. I raced last time in Catalunya in the Manufacturer series and it was nearly impossible to complete a fast lap without penalties. Even worst when you had to deal with other drivers. Since someone already raced this morning, is it the same in the daily race? Thankfully the track limits should be normal...unlike the mess that is Championship track limits (ANYTHING outside the white line is a guaranteed penalty). WestSideMike, Pigems and Ubifabbri like this. This was supposed to be the week I return to sport mode but after seeing the rinsed and repeated race choices again, I won't bother. Bring on GT7 already PD. You're obviously busier with that than you are with GTS. phil_75, CrimsonKing and Pigems like this. How come? I don't use it and don't miss it, didn't think it had much effect. Edit: It seems most of the problems with the daily race could be solved by adding another 3 races - more chance of a combo people like, and almost a new race a day for some people who want to do something different each day. Melbourne Park, QC YALUM and Pigems like this. Daily (weekly) Rally events are welcome.